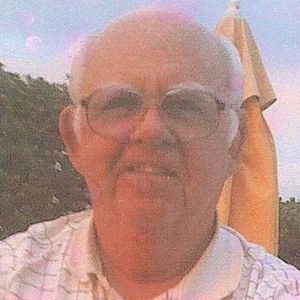 Balliette, William Markes, Jr., 84 – of Cape May Court House, NJ passed away January 12, 2019, at Autumn Lake Health Care Center in Ocean View where he had resided for more than five years. Bill was born in Berea, Ohio, the second child of Bill Sr. and Dorothy Balliette. He graduated from Wyndham, Ohio High School, in 1951, Western Reserve Academy, Hudson, Ohio in 1952, and Dartmouth College, Hanover, NH in 1956. In 1959 after three years in the US Navy and discharged as a Lieutenant, Bill enrolled at the Law School of the Univeristy of Pennsylvania where he met, and married, classmate Andrea Cafiero. Bill served his legal clerkship in Newark, NJ at the firm of Riker, Danzig, Marsh and Scherer. Wanting to move farther south, he joined the Camden firm of Blakeley, Stockwell and Zink. In 1964, Bill was asked by his brother-in-law, James S. Cafiero, to move even farther south to Wildwood and join him in practice in the office opened by A.J. Cafiero, in 1937. There, Bill engaged in the general practice of law, but soon found a distinct niche in municipal law and over his thirty-six years represented the City of North Wildwood, Boroughs of West Wildwood, Woodbine, and Stone Harbor, Middle Township Board of Education, Upper Township Zoning Board of Adjustment, Sea Isle City Redevelopment Authority, and the Delaware River Bay Authority as New Jersey Counsel. In 1973 he served as chairman of the Big Gifts fund raising committee for an expansion of Burdette Tomlin Hospital. Bill's personal regret was growing too tall to be a jockey but not tall enough to be a basketball player. He remedied that, in part, by coaching Our Lady of The Angels CYO Basketball team (to a championship), and coaching Little League and Senior League baseball, often having a sandwich for dinner in the Bull Pen before attending Council Meetings. Bill was a member and past President of the Cape May County Bar Association, Cape May Court House Kiwanis Club, a member of the Wildwood Golf and Country Club (now The Shore Club) for forty-five years, and with his mother-in-law Hazel Cafiero, a horse racing enthusiast. Bill retired from the practice of Law in 2001 when he sensed the onset of some diminishment in his memory. Bill was predeceased by his sister Lynne in 1951, his father in 1978, and his mother in 1993. He is survived by his wife of 56 years, Andrea; three daughters, Lynne, Lauren Feldhake (Eric), and Nicole; two sons, Bill III (Barbara), and A.J. ; and eight grandchildren: Eric Jr., Emma, Elizabeth, and Eva Feldhake, and Audrey, Madeleine, Bill IV, and Robert Balliette. A Memorial Mass will be celebrated at 11 a.m. on April 6, 2019 at Our Lady of The Angels Church, 35 East Mechanic Street, Cape May Court House, NJ 08210. Friends are invited to call at the Church beginning at 9:30 a.m. In lieu of flowers, donations may be made to the Cafiero and Balliette Families/ Memorial Scholarship Fund, Rowan University Foundation, 201 Mullica Hill Road, Glassboro, NJ 08028. Create An Online Memorial For William Markes Balliette, Jr. So very sorry for your loss. You and your family are in our thoughts and prayers. Where do I start... Mr. Balliette was a second father to me growing up as neighbors. Everything I know about sports started with him. I thank him for his patience with an uncoordinated kid (at some point he must have said, Thank goodness the other one is my kid.). To the Balliette family I send my condolences and love. Your family played a large role in my life and I am forever grateful. To The Balliette Family, Our deepest sympathy to you on the loss of Bill. Our thoughts and prayers are with you all. Over the past few years I have recognized how much I owe to Mr. Balliette. In my youth he was a second father, motivator, teacher, and coach. Anything a know about sports started with him. Most important is he was my father's best friend. I will always remember him as the intelligent, opinionated man that showed great patience with an uncoordinated kid. My deepest sympathies to his family. Rodger and I send our deepest condolences for the loss of your husband. Please know that our thoughts are with you and your family at this difficult time. It was terrible to read about your loss. Our family express our sincere sympathy to you and your family on the passing of your husband William. We are all deeply saddened. May God grant you the peace that you seek, our condolences bring you comfort and prayers ease the pain of this loss. May we also offer you our thoughts, prayers and well-wishes during this dark time in yours and your children's lives. So sorry to learn of Bill's passing. May he rest in peace. My thoughts are with you and your Family with the passing of Bill.